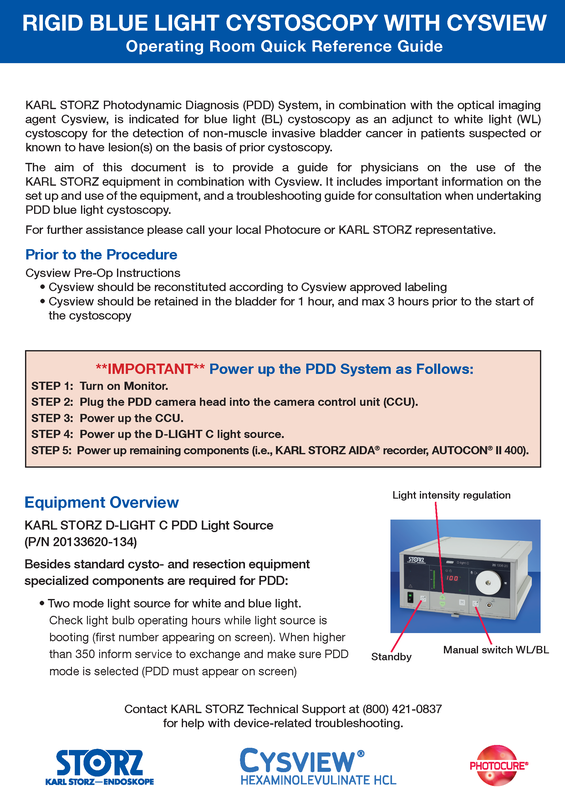 Partnering with KARL STORZ Endoscopy-America Inc.
Cysview is FDA-approved for use with the KARL STORZ D-Light C Photodynamic Diagnostic (PDD) system.1 To perform Blue Light Cystoscopy (BLC™) with Cysview® as an adjunct to White Light Cystoscopy, you will need the following KARL STORZ PDD system components. For more details, download the equipment overview or a full brochure. Urologists who perform Blue Light Cystoscopy with Cysview receive training on both the imaging solution and the technology. Staff involved in the process also receive appropriate training. While there is a learning curve associated with gaining expertise in this technology, there are help and resources always available. The Operating Room Guide provides important information on the set-up and use of the equipment, including troubleshooting steps. 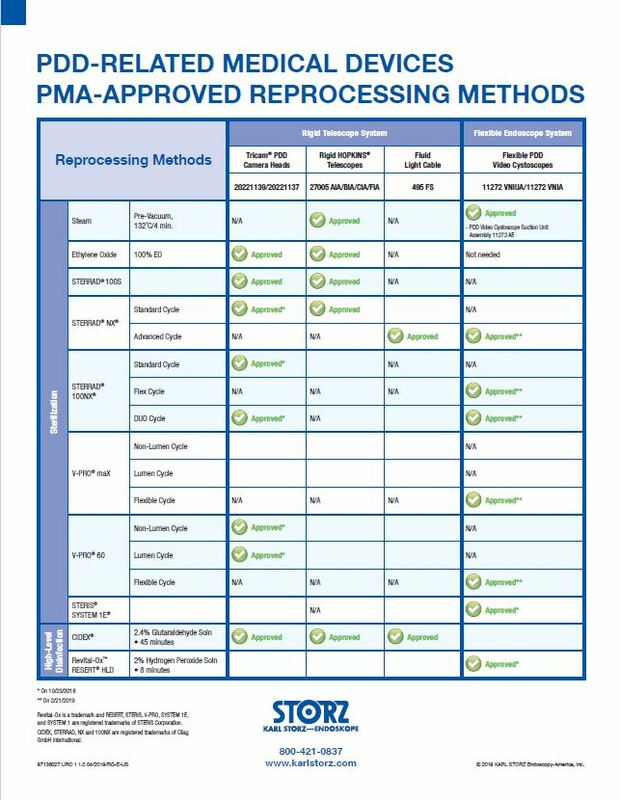 The PDD Reprocessing Guide is a quick and easy reference tool for understanding which reprocessing methods are PMA-approved for which PPD-related medical devices.